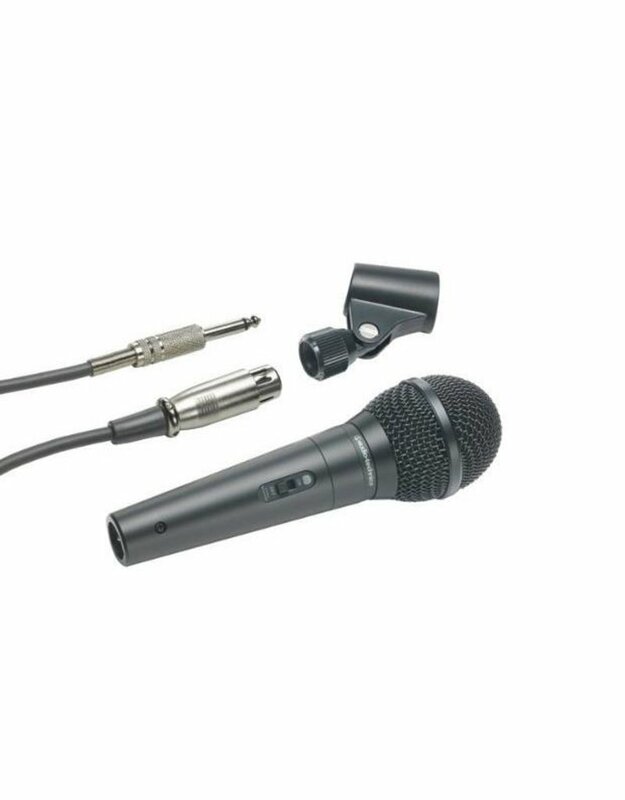 The ATR1300 Cardioid Handheld Dynamic Microphone from Audio-Technica features rugged metal construction and offers a wide frequency response with clear audio reproduction for speech, vocals, and instruments alike. Its cardioid polar pattern effectively minimizes off-axis noise and feedback, making it ideal for sound reinforcement. 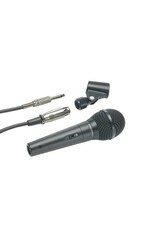 The ATR1300 has a convenient on/off switch and includes a detachable 16.5' cable with a 1/4" phone connector, as well as an adjustable stand clamp.